I've been involved in at least 15 craft swaps on Instagram. I enjoy cross stitch, embroidery, knitting, and making journals. I have a mini poodle named Max and I enjoy spending time with my 3 year and 7 years old nieces Skylar and Scarlett. I love to read! I enjoy fantasy and historical fiction. I am a proud Hufflepuff! :D I collect Mary Poppins themed things. I'm all about reusing things. I love collecting scraps of papers and odds and ends for using in my scrap/junk journals.I'm not really picky about patterns and such. I love to make junk/scrap journals so I can always find a use for whatever. 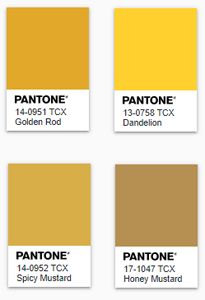 My favorite color is mustard/dandelion/goldenrod yellow. I love butterflies and have a butterfly tattoo in the style of an old Lepidoptera lithograph. I really like old lithograph paintings of nature like butterflies, birds, and plants. I also love bicycles and especially like pictures and images of bicycles with baskets full of plants, flowers, or books. I've seen some really cute stamps with that motif and just love it! I love to do embroidery, cross stitch, knitting, journal making, weaving, etc. I have done stained glass before and I love to learn and try new crafts. I've recently moved and changed jobs a couple times and am trying to get back into crafting after not doing much the past year. I really enjoy musical soundtracks like Newsies, Matilda, Camelot, Mean Girls, In the Heights, Hamilton, Rent, Wicked, Chicago...etc. I also enjoy; Aurora, Billie Eilish, Lizzo, Clean Bandit, Daya,Demi Lovato, Janelle Monae, Oh Wonder, Sigrid, Pentatonix, and Michael Buble...to name a few. I went to a Michael Buble concert March 2019 and it was amazing! He really is a very talented singer and the live musicians made for a beautiful sound. I'm going on a cruise this year in November with my Mom and sister-in-law! We'll be leaving from New Orleans and going to Cozumel and Progresso and hopefully will get to do some snorkeling. It'll be a trip of firsts for me! I've never been to a New Orleans or a different country. First time on a cruise ship, first time swimming in the ocean, first time on a real vacation! the only "vacations" I've ever been on have been visiting family. We're going to have a lot of fun! Comment: I love everything! you get me. thank you Sara. Response: My pleasure! Glad you like the goodies! Comment: Thank you for the message! Yes, Polish is hard landuage to learn. Conjugations, declinations, etc. Ortography is very problematic even for my (adult) friends :) Haha. That was a nice sentence - good job! Yes, "Lucifer" is great. Can't wait for a new season. Have a nice day! Comment: Thank you very much for the fun list! I really REALLY enjoyed Avi Kaplan's "Change on the Rise" - gave me chills!! Response: Avi is such a beautiful singer! If you want to hear more from him, you should check out Avriel and the Sequoias. They released a beautiful little album last year called Sage and Stone. Comment: Thanks for the list, I'll look up some of these! Comment: Tasty looking CoC ! Thanks ! Comment: I LOVE Supernatural! But I actually haven't seen the last season yet >.< Thank you for the card! Comment: Just came across this and realized you had not been rated for it! so sorry. You are a saint for not hounding me for a rating. Comment: Received earlier this week. We've been without power for a few days. I abandoned this at Mary Maxim for you. Comment: Thanks for the ATC...can't go wrong with bright and cheerful. Hey! I'm huge Disney fan myself and Aristocats is one of the best movies. I really love the old Disney animation. And "Everyone wants to be a cat" is one of my favourite songs!